mwe3: You have a sound that borders on ESP throughout your new CD Nowhere, Now Here. What did you set out to achieve musically and compositionally on this latest CD release, say compared to the instrumentation of your other Greydisc album together called Dreaming As I Knew. How would you compare the two albums and how has your duo sound changed and /or improved on the Nowhere, Now Here CD? Were there sonic reference points that you wanted to touch on or elaborate on during the recording? For instance, I heard Nowhere, Now Here is being compared to Ralph Towner meets Charles Lloyd and even the Oregon sound in places. Kevin Kastning: Those are some pretty heavy and humbling comparisons. I think Dreaming As I Knew was a softer, quieter album. It consisted of more of an introspective element; in fact I felt almost withdrawn on it in some places. Nowhere, Now Here certainly has an introspective element, but it has more of an extroverted, very expressive feel. The energy is palpably different. Its more contrapuntal and angular. I think its far more dynamic and intense than Dreaming. After Dreaming was released and before we started the recording sessions for the album that would become Nowhere, Now Here, we had some pretty detailed discussions about where we wanted this next album to go, compositionally. We also used some very different instruments on Nowhere, Now Here, and that had an impact on the overall direction as well. 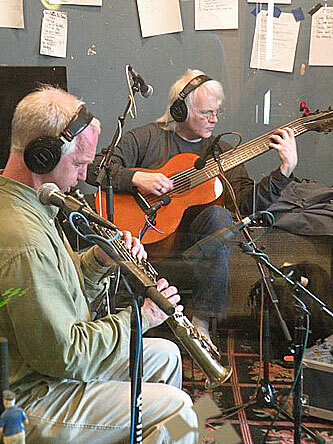 In fact, the two instruments utilized on most of the tracks were new instruments for us both: Carl on alto flute, and myself on the 30-string Contra-Soprano guitar. The instrumentation alone imbues Nowhere, Now Here with a different atmosphere than Dreaming. Based on the comparisons you mentioned, it seems that someone is hearing Nowhere, Now Here as jazz. Which is fine, but I dont hear it that way at all. If I had to categorize it, and categorizing music is not something I like doing, but to my way of thinking, its closer to 21st century classical chamber music. Its almost music without a genre. Carl Clements: Our goals on Nowhere, Now Here were similar to those for Dreaming As I Knew, but we also wanted to try to explore some different territory. 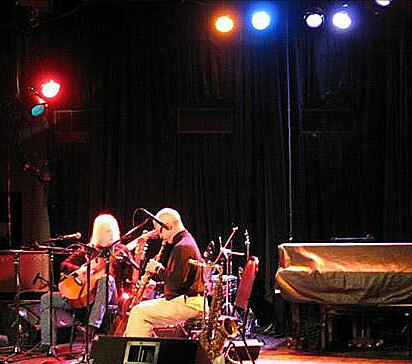 Kevin and I have a long history as friends and musical collaborators, and music for us is a kind of conversation. Sometimes we might start with a sort of preconceived topic, other times one or both of us begins with a statement and we see where it goes from there. In many ways, I feel that we can say more in a musical conversation than in a verbal one. That is to say, music allows us to venture into territory that cant, as far as I know, be explored through words. I like the conversations we had on Dreaming As I Knew, but hopefully each recording we make will carry the conversation further, exploring new topics and elaborating on some previous topics. In terms of instrumentation, this CD was exciting, for both of us I think, due to the fact that we were both playing on instruments that we had never recorded before. For Kevin this was the 30 string Contra-Soprano guitar, and for me it was the alto flute. The freshness of these new sounds, and their combination, was very inspiring for us. Of course the familiarity of our usual instruments allows us a lot of intuitive freedom. But its nice to cover some new sonic ground. Im certainly honored to have our collaborations compared to the music of such great musicians as Ralph Towner, Charles Lloyd, and Oregon. But our inspirations extend into a very wide range of genres and sources from many different times and places. I remain active in the worlds of jazz and Hindustani classical music in terms of my practice and performance, but much of my favorite music tends to cross genres and evade definition. 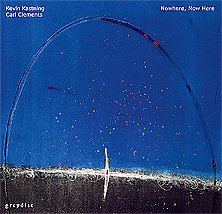 Kevin Kastning: I concur with Carl; he summed it up much more succinctly than did I.
mwe3: The 30 string Contra-Soprano guitar is featured prominently on Nowhere, Now Here. Is Nowhere, Now Here the first album ever made with the 30 string guitar and do you see the instrument becoming more popular? Also are there some comments from Carl on whats it like to duet with a 30 string guitar? Kevin Kastning: Yes, Nowhere, Now Here is the recording debut of the 30-string. I see it becoming more popular with me! I doubt most guitarists would want to take it up; I hope Im wrong and I see some brave souls trying it, but it requires some pretty extensive work to be able to play it. There is precious little existing guitar knowledge or chops that translate to or map to it. It is really like learning a new instrument; relentlessly demanding, and while learning it, a couple of times Ive had the thought maybe I should have taken up bassoon. But its such a evolutionary and revolutionary instrument for me that its all well worth it. Everything is different with it; even my playing posture. I play it vertically, like a cello. And often I play both sets of strings simultaneously with my right hand; in other words, approaching it as a single 30-string instrument, instead of a two separate 18-string and 12-string instruments. Being able to do that with my right hand has taken tremendous work, and honestly, I feel as if Im still learning it and will be for quite some time. I find new possibilities with it almost daily as it continues to reveal its depths to me. Its a really exciting process to discover so many new things with it. Its like discovering a new planet. It is an instrument with an orchestral majesty. Carl Clements: I certainly love Kevins 30 string guitar, and it would be great if it became a more popular instrument. That said, Kevin designed this guitar to achieve very personal musical goals that are integral to his musical approach, and it strikes me as a very difficult instrument to master. I hope more people are up to the challenge, though. It has enormous possibilities, and I think Kevin will continue exploring its potential well into the future. Playing duet along with the 30 string guitar is very inspiring. This guitar has the potential to be almost orchestral due to its wide range, timbral variety, and capacity to execute rich, dense chordal textures. But being in the hands of a single highly skilled and intuitive musician, the orchestral possibilities can be realized in the moment without the need for pre-composition. Its a pleasure to be inside the music at the moment that it is being created, and to help shape its direction. mwe3: What are some of the challenges involved in recording with and capturing the sound of a 30 string guitar in the mix and can you compare the sound of the 30 string guitar with the sound of the 17 and 16 string Contraguitar? What is the timeline history of the 30 string guitar and who and what else was involved in the design and purpose of the 30 string guitar? Whats involved in stringing the 30 string and what is the tuning like? Carl Clements: Ill leave this question to Kevin since its solidly in his territory. Kevin Kastning: The 30 is truly a micing challenge. It has two soundholes on each side of the upper bouts; in other words, one soundhole beside each neck. This results in a true stereo instrument, so both soundholes have to be miced up very carefully. When I used the 30 on the Nowhere, Now Here sessions, I had only received the 30 four days prior to the first recording session on which I used it. I think there were three recording sessions on which I used it for Nowhere, Now Here, but for that first one it had just arrived. It requires an entirely different microphone setup and approach from anything else Ive ever heard. Im still perfecting the mic setup for it. Im continuing to try various small-diaphragm condenser mics on it. Im trying some three-mic and even five-mic setups with it, and this just sounds huge and expansive. Learning to mic the 30 required that I jettison everything I knew about micing techniques and start over from scratch. To answer your question about how the 30 compares to the two Contraguitars in the studio, the Contras are a little easier to mic than the 30. Theyre not as arduous as the 30. I use a stereo pair on them. The timeline and history of the 30 goes back several years. Since 2009 or 2010, my two main instruments have been the Contraguitar and the 12-string Alto guitar. 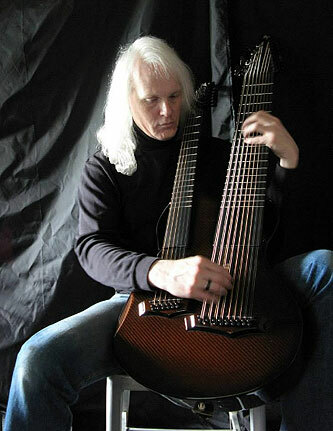 I had been speaking with Dan Roberts, the brilliant luthier with whom Ive worked since 1999, about a possible doubleneck, combining the 12-string Baritone and 12-string Alto. Then once I moved away from the baritone guitars and into the Contraguitars, we discussed the possibility of combining the Contra and the Alto in a doubleneck. We had talked about this for a few years, but it just didnt seem that it would be physically possible. The tremendous amount of pull on a top that would be supporting so many strings would require the top to be so heavy and overbuilt that I feared there wouldnt be much of a voice. If anyone could have done it, it would have been Dan, but we were up against insurmountable physics. Not to mention the potential problems with bridges, neck tension, top distortion, limited gauge support, and so forth. So I had resigned myself to the sad truth that it probably couldnt happen. Of course I still had thoughts about it. Then in 2011, I heard about a small shop in Ireland called Emerald Guitars. Emerald was making acoustic instruments from carbon fiber, sometimes known as graphite or carbon graphite. They had done some unusual models, and I had a strong feeling that I should speak with them. I contacted Alistair Hay, the owner and head luthier at Emerald. I sent him some of my records, and explained the instrument I had in mind. I asked him if it would be possible, and if so, if hed be interested in doing it. He got back to me right away and said yes, its very possible, and yes, Id love to do it. At this time, we were talking about a 26-string doubleneck: a 14-string Contra neck and a 12-string Alto neck. As we got deeper into the design phase, Alistair sent me a prototype 18-string doubleneck (concert pitch 6 and 12 string necks) to try. This was originally to determine some basic aspect of the specifications; such as which neck, Contra or Soprano, I wanted on top or on the bottom. I was also able to hear the twin soundholes and did some micing tests with it. Alistair originally wanted to go with a single offset soundhole, but after spending time with the prototype, I was pretty insistent on twin soundholes. This was due to the true stereo aspect. The soundhole nearest the Contra neck contains more Contra information, and the soundhole nearest the Soprano neck features more Soprano content, not surprisingly. The other fascinating property of the twin soundholes is that using a stereo micing scenario accentuates the extra ringing. Extra ringing meaning if I play something on one neck, the strings on the other neck ring in sympathy, like when you play a single note on a piano with the sustain pedal depressed; you can hear all the overtones in the open strings. Same effect on the 30. Play a single note, stop it, and you can hear the strings on the other neck ringing in the overtone series. Again, this occurs naturally within the instrument in a stereo field. 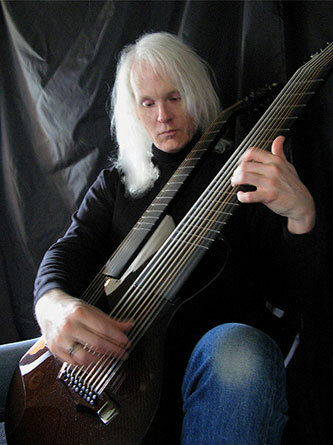 I spent a few weeks with this 6/12 prototype, and found that I could access both sets of strings with my right hand; in other words, approach the instrument as one single unified 18-string instrument instead of two separate instruments: a 6-string and a 12-string. The necks werent parallel, but were set into the body in a slight V angle, bringing the strings closer together at the bridge than they are at the nut. This would allow me to achieve harmonic structures and extended altered tunings about which I had been thinking and dreaming and even plotting out compositions involving these, but of course had no way to realize or access them. Over the past several years, the harmonic density and breadth of my compositions on my guitar-family instruments has continued to expand to such a degree that I was hearing compositions and tunings in my head that I couldnt do because the instruments to realize them didnt exist. So the Contraguitars and the 30-string Contra-Soprano guitar were born out of an artistic need. Prior to the time that Alistair and I were in the design phase for the 30, Dan Roberts had converted my two 14-string Contraguitars to 16- and 17-strings. I knew that the strength of the carbon fiber would be a great platform to expand on the 26-string idea, especially since I was no longer playing 14-string Contra, but had evolved and expanded into 16- and 17-string Contras. So I did some measurements and mockups, took a deep breath and called Alistair and said Can we make this a 30-string instead of a 26? I explained about the extra courses, projected string gauges, and tunings on the Contra side, thus making it into an 18-string Contra. Alistair knows no fear, and was up for the challenge. We spent a lot of time on Skype, writing some very detailed emails, making scientifically precise measurements, and doing mockups. In January 2013, it arrived here. I was and am very pleased and excited about it, and in fact have become an Artist Endorser for Emerald. It is just incredible. Im very happy that I was able to use it on the Nowhere, Now Here sessions, even though I was barely scratching the surface of its capabilities and depths. The tuning and stringing is very broad; it requires both bass and guitar strings. The string gauges run from a .125 on the low B course up to a .009 on the alto A course. The tunings on Nowhere, Now Here were all octave and unison tunings on the Contra side, and some unison and intervallic tunings on the Soprano side, but since those sessions, Ive been utilizing it with altered tunings on both necks. The tuning and registers are like this: the Contra starts at low B below E; E being the lowest note on a bass. So the Contra goes well below a bass, and goes up to alto A on the highest course. Of the 9 double-courses, seven are in octaves, and the high A and D courses are in unison. All that changes when Im using any of my altered intervallic tunings, though. The Soprano neck is based in A, which is a perfect fourth above concert guitar tuning. Sometimes I have the Soprano neck strung in unisons; sometimes in octaves; sometimes in some of my own altered and intervallic tunings. At the time of the Nowhere, Now Here recording sessions, I hadnt yet really found the ideal gauges for the strings; the gauges were much lighter at first, and I was still experimenting with them, so the voice of the 30 on the Nowhere, Now Here recordings is a bit thinner than it is now; Im pretty happy with the gauges at present, though I do continue to experiment with and tweak the gauges. I use a mix of winding compounds across the registers as well. All strings by John Pearse. I have endorsed for them for years, and they are so supportive to me; I am really thankful for that. mwe3: Carls various instruments are superbly recorded on Nowhere, Now Here including some of his horns from the 1940s and 1970s as well as 2012. Can you describe the different horns and wind instruments performed on Nowhere, Now Here and what are some of Carls favorite horns and his other effects used to enhance his sound? It must have been quite enjoyable to get such a sonorous sound on Nowhere, Now Here. Kevin Kastning: Ill defer to Carl for this one. I do think its cool that hes still playing the exact same tenor hes had since I first met him. Theres a lot of history in that horn. 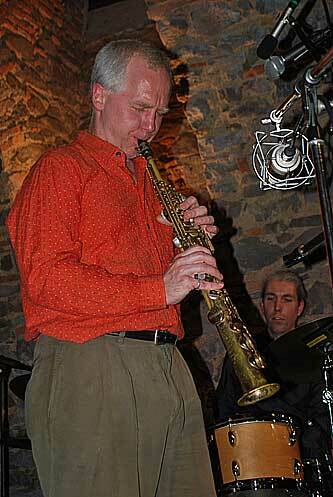 Carl Clements: On Nowhere, Now Here I play tenor and soprano sax as well as alto flute. The tenor is a Selmer Super Balanced Action from the late 1940s, made at a time when the company had some excellent craftsmen, and the horn has a dark, rich sound. I play a later model Selmer Mark VI soprano saxophone partially due to the fact that I believe the quality of soprano saxophones improved after the instrument became more popular in the 1960s with such musicians as John Coltrane and Wayne Shorter. My alto flute is a Jupiter DeMedici solid silver model made fairly recently. I dont play the C concert flute or the North Indian bamboo flute on this CD as I did on Dreaming As I Knew, but I expect well continue our explorations with these instruments in our future collaboration. I enjoy the sound generated on the instruments themselves, and use minimal effects and processing  usually just some reverb to simulate the effect of playing in a somewhat larger room. But the quality of the sound on this recording owes much to Kevins expertise in the studio and Sandor Szabos skill in mixing and mastering. mwe3: How long did it take to record Nowhere, Now Here and what were the recording sessions like, for instance was everything cut live and/or were there any overdubs and sonic tweaking? What was the studio set up like and what microphones and amps helped you get the right balance of sound? Kevin Kastning: Nowhere, Now Here was all tracked live in the studio. It was recorded in six or seven recording sessions that began in spring 2012, and concluded in winter 2013. Theres no overdubs; what you hear on the record is the performance that transpired in the studio. During post-production, some noises were cleaned up, a few errant notes removed, and on a couple of pieces, a section might have been edited out. The sessions were recorded in two separate studio live rooms for perfect isolation of the tracks so that the mix would work better and be more balanced. In all my other recordings, I am always in the same studio live room with my partner, which is great, and like in a live performance situation, you can maintain eye contact at key points, or visual direction and cues can happen. But when your duet partner is in another room and you cant see them, you dont have any of that, and everything becomes purely intuitive. Of course we had headphones so we could hear each other and we could communicate between takes. Ive played with Carl for something like 28 years now, so I can say that we have a pretty strong non-verbal connection when were playing. Another difference with Carl is that we spend time, more than in my other projects, verbally sketching out the pieces and discussing before we roll tape. Well discuss compositional elements such as meter, tempo, duration, registers, ranges, overall form and shape of the piece; as well as instrumental combinations. Sometimes well discuss the first few bars; determine who plays what as a sketched framework, and then allow the piece to organically unfold from there. There are some tracks wherein we would determine motivic material for both our introductory parts, and in some cases, secondary motivic elements. For this to happen with such a strong compositional result requires an incredibly strong connection with each other. You can hear this on the pieces of Nowhere, Now Here; some of them sound like written compositions and not at all improvised or composed in real-time. When the sessions for Nowhere, Now Here concluded, we had recorded well over six hours of new material. We began sifting through all the material to find pieces that we felt fit cohesively together and were interrelated, like movements in a symphony; not merely unrelated separate pieces. Needless to say, to narrow down over six hours of material to select the 14 compositions which became the album was tremendous work. I never use any amps or effects; just mics. The microphone setups involved various stereo pairs on us both. 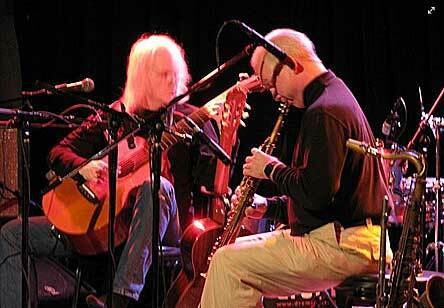 For the Contraguitars, Im using a stereo pair of Gefell M-295 mics. These are the most detailed mics Ive ever heard; the depth and reach is beyond anything else. For the 30-string, I was using a stereo pair of AKG C-451-B mics. Ive since changed my mic preference for the 30-string, but for those sessions, it was the 451s. 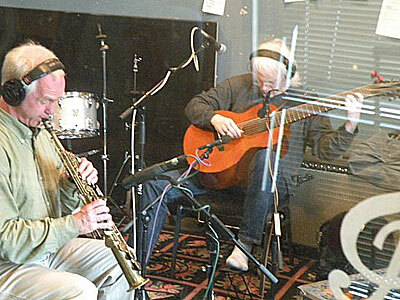 For Carls instruments, we used a Shure KSM-44 in cardioid out front, a vintage AKG D-224-E placed down near the floor and angled up, a ribbon mic and an AKG C-460-B for the flute in a stereo overhead configuration. No effects during tracking sessions. Just the mics straight into Millennia preamps. The recording was mixed and mastered by Sandor Szabo at the Tandem Records Experimental Studios in Hungary. The only effect is Bricasti and Quantec digital reverbs at mix time. No EQ, compression, or limiting; either during tracking, mixing, or mastering. Carl Clements: Nowhere, Now Here is the result of I think about six or seven recordings done between March of 2012 and January of 2013. Over this time we were able to record quite a bit of material, allowing us to select what we considered to be our most successful efforts. What you hear on the recording is essentially what was played at the moment of the creation of each piece, with only very minor editing in the mixing room. Occasionally a note will be slightly adjusted, some stray notes or sounds might be removed, or a segment of a performance will be chosen or omitted, but these are more the exception than the rule. Ill let Kevin discuss the studio, microphone, and amp setup, as he handles most of the technical aspects of what goes on in the studio. I give input regarding which microphone combinations and levels sound best to me for my instruments, but Kevin handles the microphone selection and placement. mwe3: Both of you studied at Berklee in Boston. Reflecting back on your musical studies, what role did music education play in your overall experience and how does music education and practicing music in 2013 continue to impact your musicianship overall? Also what trends and other musicians do you feel are breaking new ground in 2013? Kevin Kastning: I did my undergrad work at Wichita State University; then came to Boston at the beginning of 1985 to attend Berklee. I met Carl around February 1985 when we were both attending Berklee and became roommates. The impact Berklee had and continues to have on me is tremendous. Such a rich, thriving environment for deep study and musical research. I had some incredible teachers there. I loved it, and it was a very special time in my life. I used to teach guitar and theory full-time, but Ive been away from that for many years now. However, I do still take lessons; recently Ive been studying classical guitar with a professor of guitar named Louis Arnold. You asked about practicing: its a daily and ongoing process. I never want to stop learning; music is infinite and there are always new discoveries to be made. As for musicians who are breaking new ground, I have to say that some of my partners are the ones whose names come immediately to mind. Michael Manring is forging new paths in bass. In my mind, hes like the Keith Jarrett of electric bass; hes really turned it into a solo instrument. Theres no guitarists to whom I listen really, but in the world of guitar, the two names that come to mind are Mark Wingfield and Sandor Szabo. Mark is just a fantastic musician, and truly has a unique voice in the world of electric guitar, and thats not easy to do. Sandor just completely blows me away every time I hear him. His solo albums are my favorite works of his; hes on another level above just about everyone else. He is not just a guitarist; he is a complete musician, composer, visionary, and true artist. This comes across in every note he plays. For contemporary composers, I love the work of folks like Arvo Part, Gyorgy Kurtag, Elliott Carter. Elliotts string quartets were like a sea change in my life; just an awakening. Carl Clements: I certainly owe a lot to the various teachers Ive had over the years. I majored in Jazz Composition and Arranging at Berklee, and I think the school provided me with a solid theoretical foundation while giving me the opportunity to interact with many young, skilled, and creative musicians. 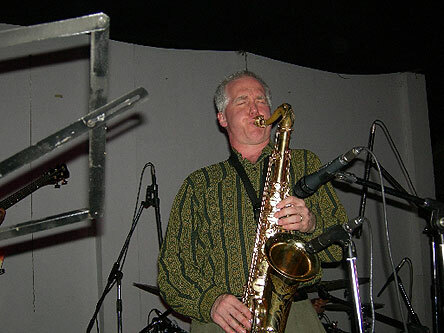 Before, during, and after Berklee  I think from 1983 to 1988  I studied with the master jazz saxophonist Jerry Bergonzi and learned a great deal from him about jazz improvisation and saxophone technique. I also studied with Joe Viola at Berklee, who taught me much about sound, technique, and interpretation. Kevin and I met and began performing together early on in that period  1985, I believe. This has proven to be one of my deepest and longest-lasting friendships and musical partnerships despite the fact that we lived in different parts of the country and the world for many of the years that followed. After Berklee, I got a masters degree in Jazz Performance at CalArts. Part of the appeal of CalArts for me was the fact that they had strong programs in the performance and study of the musics of North India, West Africa, Bali, and Indonesia, as well as an excellent jazz faculty and some very talented students. The freedom of that program really helped me to explore my own sound and direction. 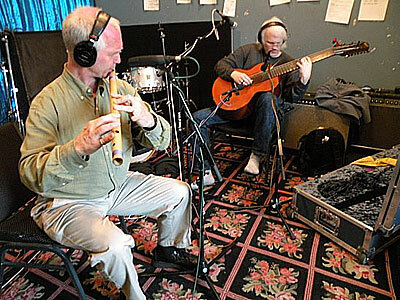 My studies at CalArts got me started in the serious study of North Indian classical music on the bamboo flute known as bansuri, which I have continued through studies in India with Nityanand Haldipur and the late Devendra Murdeshwar and in the US with George Ruckert, Steve Gorn, and Peter Row. This eventually inspired me to go back to school at the City University of New York Graduate Center to get a Ph.D. in ethnomusicology, and a central goal for me has been to try to understand and explore the diversity and essence of musical creation by human beings all over the planet. I believe that music education today continues to play a very important role in training younger musicians, and I play an active role in this by teaching college and private students  Im currently teaching at Hampshire College. At the same time, there can be many pitfalls with music education, and students can sometimes be stifled by established orthodoxy's. Im a strong advocate of learning what has already been done to avoid reinventing the wheel. So much amazing music has been created over the centuries and millennia in every part of the world. But ultimately I encourage creative musicians to find their own direction and not get trapped in preconceived ideas. I support musicians who choose to present and interpret preexisting musical styles and value their contributions  and I continue to learn a great deal from traditional styles and musicians of the past. But its crucial, I think, to have artists who find new ways of combining musical sounds that speak to the time in which they live, and beyond. There are many musicians today that inspire me and explore new territory. I continue to listen to some of the more cutting-edge musicians in the jazz scene such as Henry Threadgill, Dave Holland, John Hollenbeck, and many others. But at this point in my life, I think the recombination of eclectic influences shapes my sound more than individual musicians. Ironically, much of my present-day listening and musical practice is in the area of North Indian classical music, most of which remains fairly traditional  though improvisation is a crucial feature of this music. Many rich musical styles around the world, some of which are extensions of very old musical traditions, can offer ideas that are new to, or at least under-explored by, musicians in the Euro-American musical world. My bansuri teacher Nityanand Haldipur is solidly within the Hindustani classical music tradition, yet he plays in a way that is very personal and individual. mwe3: What would you like listeners to come away with after hearing Nowhere, Now Here and can you fill us in on your next musical moves and other plans you have for the rest of 2013 and beyond? Kevin Kastning: Thats a good question. Theres nothing I have preconceived that Id like listeners to get from Nowhere, Now Here. My sincerest hope is that the record will speak to each listener differently, and every person will come away with their own personal interpretations and unique meanings of it. I hope that each person finds their own truth in it. As for other projects in the works, my next record is a new album with Mark Wingfield which is released in August 2013 entitled Dark Sonatas. This is a pretty different record for us; its far more intense than our previous ones. The 30-string is also on this album. In August, Im back in the studio with Mark to record our next album, and then he and I have a concert in New York City on August 17 thats tied-in with our new album thats being released that week. In September, Carl and I go back into the studio to begin recording our next album. Ill be doing an album with multi-flautist Pamela Sklar later this year. I got together last year with R. Carlos Nakai, and he and I have agreed to record a duet album; hopefully that will happen this year; Im really looking forward to that. Michael Manring and I are discussing studio dates for our next album; Im excited about that, as I love working with Michael. My 30-string paired with his various basses will be wondrous. 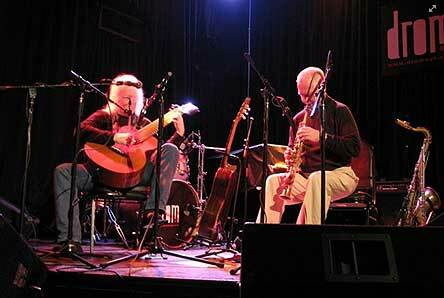 Sandor Szabo and I are in the planning stages for our next two albums and a 2014 European tour. These albums will be different than anything weve ever done together; one were calling the 46-string project, and the other will be duets for 8-course lute and 30-string Contra-Soprano guitar. There is also another trio record planned for next year with Sandor, percussionist Balazs Major, and myself; this is the same trio as the Triptych and Becoming albums. Cellist David Darling and I are working on getting our schedules to line up for a recording project; I am very much looking forward to that. There is a duet album in the can of Alex de Grassi and myself, but not sure when its to be released. In the instruments realm, Im working with Dan Roberts at Daniel Roberts Stringworks on a multi-double-course classical guitar. Ive also started working again with Alistair Hay at Emerald on our next instrument; I am extremely excited about this one. It will have more than 30 strings. Carl Clements: I would hope that receptive listeners would be able to find their way into the non-verbal conversations that Kevin and I have recorded. Its hard for me to describe in words what this music means to me, so I suppose its even harder for me to say what it should mean to others. I feel that were reaching for something beyond our intellectual understanding, and I hope that some of what we have to say helps to describe the indescribable. I know that our music comes from an intuitive place, and I hope our music helps to spark new insights  or maybe old insights in a new way. In the future, well continue pursuing music both separately and together. Ill be traveling to India again in July and August for both study and performance, and Kevin and I will resume recording shortly after I return. I love the other collaborative recordings Kevin has done, and if circumstances allow it, we might try to do some performing and recording along with some of the other musicians featured on Greydisc. Ill be performing some of my original compositions with groups in the US, Europe, and India; collaborating with percussionist Bob Weiner and visual artist Amanda Barrow; and have some upcoming performances with the groups Natraj and Ed Byrnes Latin Jazz Evolution.